Just a stone's throw away from the city of Bordeaux, Château Haut-Bailly, sits majestically in a 30 hectare (74 acres) vineyard at the heart of the Graves region. Positioned on a high ridge of land excellent for drainage, the soil is sandy and mixed with gravel, sitting on a layer of sandstone petrified with the remains of prehistoric fossil shells. All this contributes to the special character in Haut-Bailly wines. 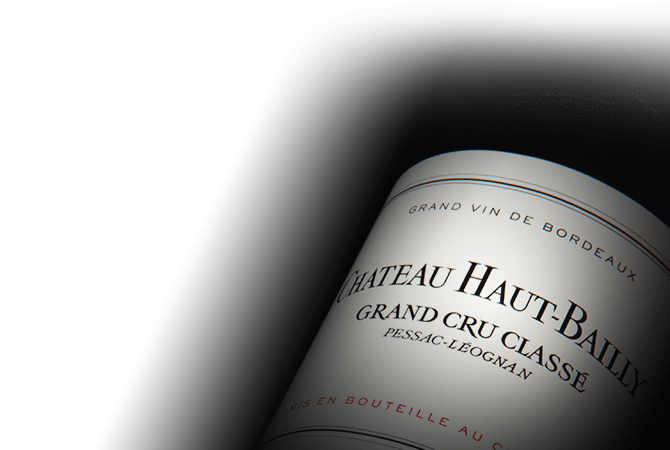 Château Haut-Bailly has a distinctive style that harmoniously combines classicism with modernity, elegance, finesse and softness with structure. The silky smoothness of the tannins echoes the elegant yet complex aromas.